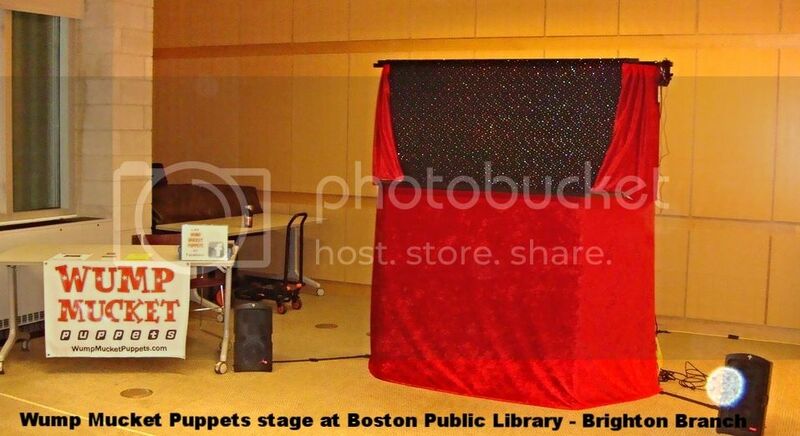 Contact Wump Mucket Puppets to book a show or speak with Terrence Burke about our puppet company. Which forms does your organization require? Our performance fee starts at $275. Travel fees apply to shows booked outside of Cincinnati, Ohio. We will inform you of the travel fee when providing your total. $100 non-refundable deposit* may be requested at the time of booking. We accept credit card payments using PayPal and Square. We do not accept personal or starter checks. We are happy to accept checks from, libraries, schools, and museums. Booking agencies/Talent agents, Payment in full is due in advance of the performance, by credit card only. The show’s stage requires the performance area height minimum of 7’ and a preferred performance area of 7’D X9’ W. Our portable puppet stage height is 7’. We are happy to try and work with rooms of all shapes and sizes. We will provide a technical rider at the time of booking. We require 1-hour load-in/set-up, and about 45 minutes to strike and load-out.